British blues fanatics Band of Skulls have already shared their track "Asleep at the Wheel" from the forthcoming album Himalayan, and now they've given the tune its own music video. The clip is a straightforward one, as we see black and white footage of the three-piece tearing through the fiery, riff-rilled blues rock song in the studio. A bottle of Jim Beam can be seen in the background of some of the shots, suggesting the players did a little relaxing between takes. Himalayan will be out on April 1 in North America via Electric Blues Recordings/Kobalt Label Services. 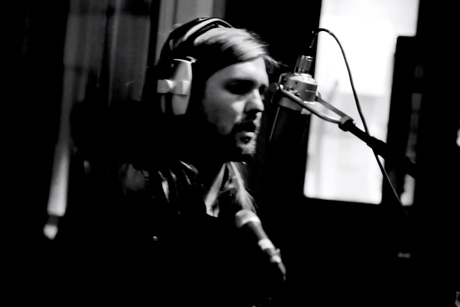 Band of Skulls "Asleep at the Wheel"